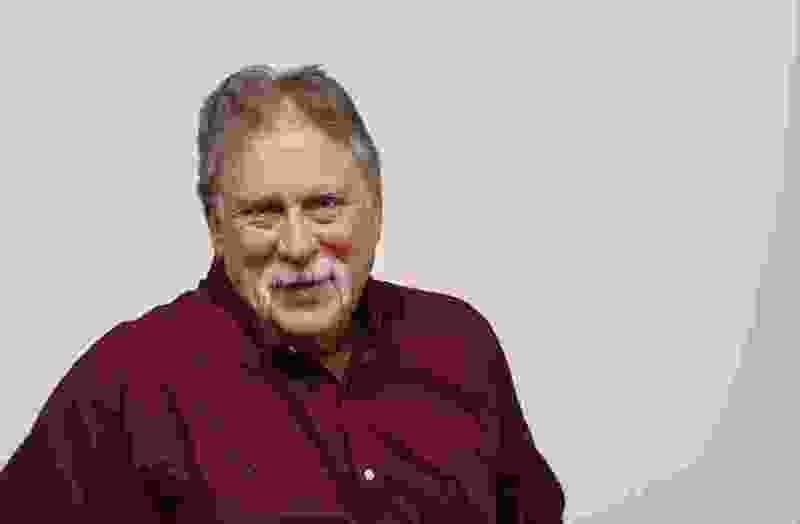 (Francisco Kjolseth | The Salt Lake Tribune) Robert Kirby loves feeding Utah birds, but any winged out-of-state invaders best watch out. Now that we have more or less settled into the last place we will ever own, there’s come a need to exchange various interests with others long neglected. Case in point: feeding birds vs. shooting cannons. Clearly, shooting cannons isn’t the same thing as inviting birds over for dinner. But I like both. I just can’t have both — not to the same degree we had in our last house. Our move required that I give up 5-foot stacks of bowling balls. They didn’t fit in our smaller backyard. In addition, I don’t know my new neighbors well enough yet to tell whether shooting a Quaker Oats carton filled with M&M’s 500 feet into the air would bother them — and which ones I’d care about enough if it did. Bird feeders fit in our new backyard. I hang them up, and sit back in the shade to watch the birds fight over the perches. It isn’t MMA combat, but it definitely gets rough. I started feeding birds years ago while laid up from stupidity-related surgery. I read that feeding birds was an antidote for depression, insomnia and anxiety. Watching birds from the back deck, I fell in love with juncos, grosbeaks, flycatchers, tanagers, waxwings, warblers and anything else native to Utah. I decided it wasn’t enough to just wait for them to appear. I had to invite them. My first bird feeder was built mainly to torment Bob Valdez, my cat. I placed it just outside the kitchen window where, once he learned that the glass was cat-head-proof, being inches from so many killable things made him twitch and gurgle. But the birds were safe. They were also safe outside because Bob couldn’t jump high enough to grab a bird off the feeder. He’d hang from the edge like Richard Simmons trying to do a pullup until he got tired and sloughed off. The birds found this hilarious. I didn’t mind if the occasional hawk snatched a bird off the feeder. That was just nature at work. But I wasn’t about to let a nonindigenous cat stress the birds. Besides, they had plenty of competition from other birds. I confess to being a bird species-ist. Scream, yell, call me names, but some birds I don’t like. I hate them, in fact. Most notable are European starlings, English sparrows and Eurasian doves. One winter day I watched a couple of English sparrows beat a junco half to death. After learning how much stress these invasive species put on Utah’s own birds, I couldn’t just sit idly by and watch them take over nests and food sources. Starlings and sparrows are like in-laws. It isn’t enough to just shout them away. They only came back. So I shot them away. A lot. We lived in the foothills back then, and I didn’t have to worry about where pellets went after they exited a starling or a house sparrow. Through the years, I probably killed entire flocks of these feathered rats. I can’t do that here. The neighbors are too close. An errant shot might cause a nonintentional injury. Can’t have that. Lately, though, I’ve been looking at the feeders and some of the smaller cannons. Could it be possible to combine these two hobbies? Suppose I could lure a flock of starlings straight overhead? Hey, the starling hasn’t been born that can stop an M&M traveling 300 feet per second. And since it rains candy after the boom, maybe the neighbors wouldn’t care as much. I told my wife about it. She wanted to know why I would hurt another animal with which I had so much in common. I scoffed.